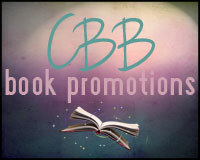 Welcome to my stop on the Resilient blog tour hosted by CBB book promotions. 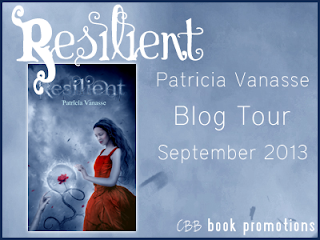 Today I have a character interview with the awesome Livia, and don't forget to enter the fabulous tour-wide giveaway(kindle paperwhite + signed copy of Resilient)! Thank you Jessica for having me over! Your welcome! I am so excited to have you on the blog today, and for taking the time to answer some of my questions! 1.) How would you describe your personality in a few words? 2.) What are the pros/cons to being able to read other peoples emotions? Before I met Adam, I didn’t see any pros with being able to feel people’s feelings. It’s not fun to have my calm and happy emotions taken over by a strong sadness that brings tears to my eyes or have my stomach twist from a sudden intense anger that belongs to some person who just walked by. It can be really unpleasant. Not only because it hurts, but also because I can’t do anything to help that person in need. It makes me feel powerless. The only good thing about my ability is knowing if the person I just met has good or bad intentions. It helps me to know where that person stands. When I met Adam and couldn’t read him, that’s when I first realized that my ability had its good side as well. I felt lost not knowing what he was feeling while looking at me. 3.) What is your relationship with your family like? We have a good relationship because my parents are open minded and not judgmental. I feel like I can talk to them about anything. 4) What were your thoughts when meeting Adam for the very first time? The first time I saw him he was not so nice. Actually, I thought he was a stuck up jerk! Haha! But I did feel the physical attraction, I mean, Adam is very handsome and very confident. That kind of drew me to him. 5) What are some things you like most about Adam? Does he have any annoying habits? He has the habit of running his hands through his hair non-stop, but it’s not too annoying. He also has that mysterious side grin, and I can never figure out why it’s there. 6) What kind of music would I find on your iPod? Alternative and Folk Rock. So, anything from Coldplay to Mumford and Sons. 7) Do you like to read? If so, name a few of your favorite authors. I love to read, but I don’t read too frequently like Adam does. 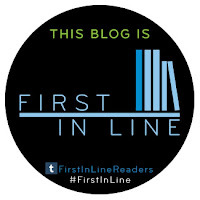 I like non-fiction, and one of my favorites is The Pregnancy Project by Gaby Rodriguez. I don’t know, I feel like I’m more mature than my peers, and sometimes I feel like I don’t belong for reasons other than just my abilities. I was abandoned when I was just days old and grew up expecting to be rejected by people. Maybe that made me more independent, and I grew up too fast. 9) What advice would you give to other teens who don't feel as though they "fit in"? I believe deep down everyone feels like they don’t fit in. Some try harder, and some just don’t care. I would say to look for friends who will accept you for who you are and be around people who you feel conformable with. Sometimes your complete opposite is the person who gets you the most, but sometimes no one does. All that matters is that you know where you stand with yourself. Character interviews are so much fun! Thanks for sharing! Character interviews are always fascinating; how do you decide what questions to ask? I can never figure it out. Maybe if I ever do so I'll tell the author to interview their own character... LOL Great giveaway, BTW! Thanks! The cover is so gorgeous and the story of this book seems pretty cool indeed! That cover is gorgeous! I think I would really love this. I think a lot of us are what are called empaths, we just have this 6th sense and know what others are feeling. I know one time, recently, I was driving and had this overwhelming feeling of sadness, I started crying, and knew something was wrong with my grandma. I called my dad and he told me they had just told my grandma that she wouldn't be living at home anymore, that she was moving to an assisted living center, and her house would be sold. She was distraught. So I think this is an awesome story line. Thank you! This book caught my eye a while ago, the first time I saw it, because of THAT COVER! It's gorgeous! Then I read the synopsis and was intrigued for sure. 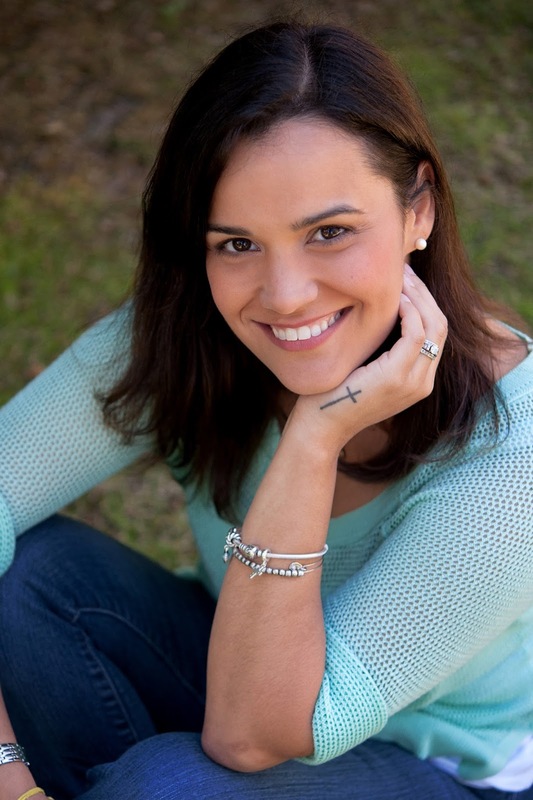 I especially love character interviews on these blog tours; they're so much fun! I marvel at authors who can stay so well in the voice of their characters -- but then I suppose they spend loads of time with them during the time it takes to get them out of the writer's head and onto the page ;) I loved what Livia said in response to your last question about not fitting in. I believe she's right, that to some extent every one of us thinks that we don't fit in, even if only in some situations (or with some people) and not all. Just as she said, we must look for friends who "get" us - or who at least TRY to, even if they don't succeed :) - and accept us for who we are. Above all else, always know where you stand with your own self and all will be right with the world! This looks fantastic! I'd actually never heard of it before this post, so I'm glad you're part of the tour! I'm really interested in seeing how the feeling emotions of others plays out, because that sounds really cool! Such a fabulous character interview thank you. I love this blog, and this book looks amazing! "Resilent" sounds like it would be a good read. I like the Character Interviews, it gives a better perspective into the book itself. Intriguing! 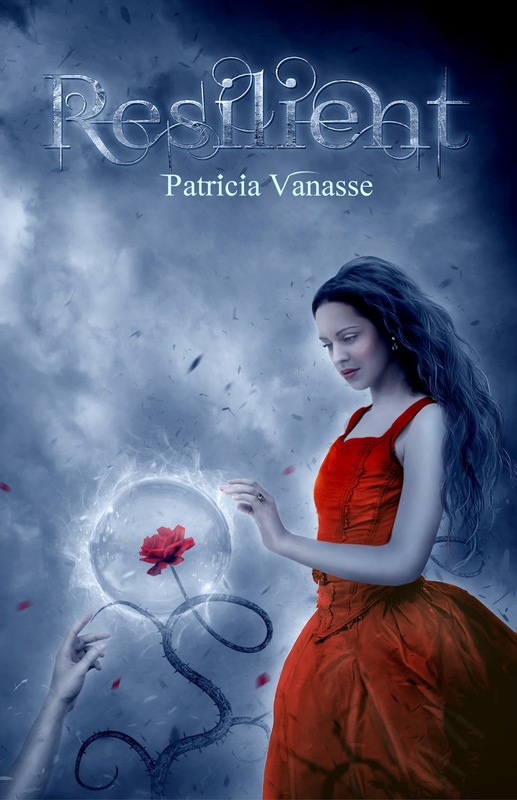 I like books about psychic powers and this sounds like a good one. A character interview is always really cool! It looks like a great story. Thanks for the giveaway! Awesome Interview this book looks and sounds awesome I have to check it out soon!